If you are an action sci-fi watcher then I think this movie franchise is for you. With a total 9 movies including original and reboot, this movie franchise is one of the best movie franchise of all time. 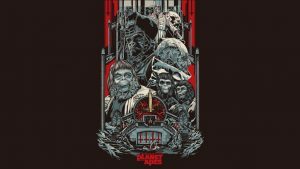 Today we are going to check out all Planet of the Apes movies ranked in the order: from worst to best. One of the ambitious mistake from director Tim Burton which somehow managed more than a quarter Billion in profit. When an Airforce astronaut crash lands on a mysterious planet he inadvertently inspires a revolution between primitive humans and their talking Ape masters. A baby-faced Marly Mark Wahlberg leads the groups as best he can, but he’s drastically out of his depth in this big budget adventure. Tim Roth portrays a sinister chimpanzee military villain who spends most of his time shouting angrily or jumping around the set like some amped-up parkour artist. Every location is draped in shadows and cluttered with decoration of gothic inspiration. Planet of the Apes is an insult to its namesake and a wholly pointless remake. Ten years after the uprising saw in “Conquest”, ape leader Ceaser wants both species to live in peace, but militant interest on both sides threaten the stability. 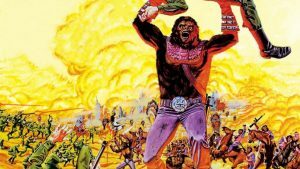 When the “Apes” franchise began just six short years earlier, no one could have guessed the timed little scientist with a British accent would go on to be the figurehead of the entire franchise and yet that’s exactly the mantle, Roddy McDowell took up. He returns here for his fourth and last appearance as the pragmatic Caeser. By this point, he’s got the monkey mannerisms locked in, but the real benefits of his continued presence are just having a familiar face to root for, as almost all other character have been swapped at with analogs or replacement. In a futuristic world where humanity has embraced ape-slavery following the extinction of all cats and dogs. Caeser, the talking ape child of two traveling chimps, surfaces after twenty years of hiding to lead a revolution against man. Roddy McDowell returns to the franchise in his third picture to portray his own offspring, now stuck in a world dominated by humans who are unaware of his true intelligence. Ricardo Montaballon returns as well in a much larger role; now functioning as Caeser’s defacto father figure. He brings much-needed compassion to the film. Don Murray, Natalie Trundy, and Han Rhodes round out the primary cast a stem governor, an ape love interest and a sympathetic ally respectively. James Franciscus the sole survivor of an interplanetary rescue mission who searches for the only survivor of a previous expedition. But instead, he discovers a planet of talking apes and an underground city of telepathic humans who worship an atomic bomb. Realizing he’s on a planet dominated by intelligent apes, sadly much of the first hour of the movie is just an accelerated retread of the first film. There is a crash landing our hero is captured by apes and then escapes with Zira’s help. It isn’t until Franciscus finds himself in a familiar New York subway station that things get interesting. Completionists will enjoy exploring more of the titular world, but casual viewers would be best served to skip over it entirely. This is a completely different but fun experience. The more socially minded narrative follows a trio of talking apes who travel back in time to 1910’s Los Angeles and shock the world. With their intelligence and desire for equal rights. Roddy McDowall and Kim Hunter reprise their roles as the warm-natured chimp couple who finds themselves experiencing a reversal of fortune of the original movie’s plot. The result is an easy-going and more satirical story than the darker and serious films that came before McDowall and Hunter are both fantastic in lead roles, balancing their scientific curiosity with cautious hesitation remarkably well. They may be monkeys but they end up being the most human characters in the entire film. This film isn’t a proper remake, but rather a re-envisioning of the ideas set forth in the original five films. The plot follows scientist Jame France who inadvertently creates a drug that boosts simian brain capacity when searching for a cure to Alzheimer’s. 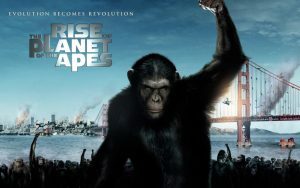 Later his pet ape helps start an evolution revolution when he frees hos species from a harsh primate sanctuary. The story is fascinating and well-told. 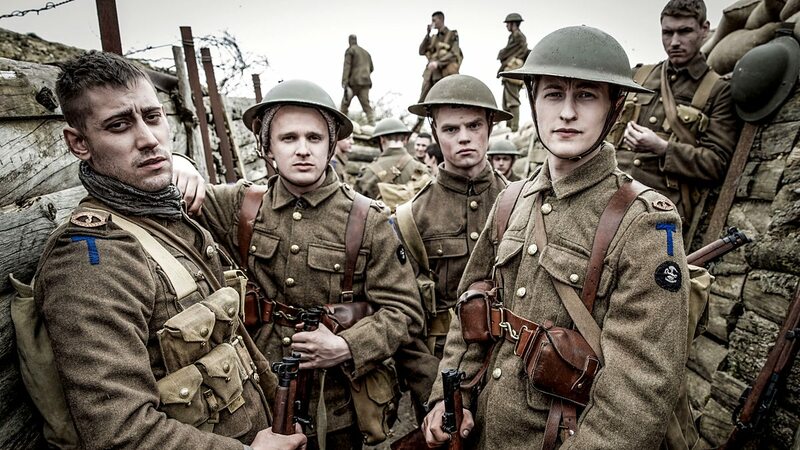 With the great performance by most of the cast. John Lithgow is fantastic, however, portraying the Alzheimer’s stricken father. 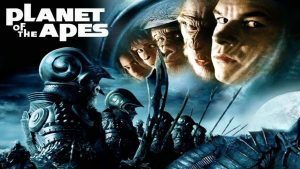 Directed by Matt Reeves, this eighth film in the surprisingly long-running “Apes” franchise was released in July of 2014 and is the second film in the reboot trilogy. Ten years after a deadly disease wiped out most of the mankind, a growing community of genetically evolved apes and a band of human survivors attempt to co-exist. 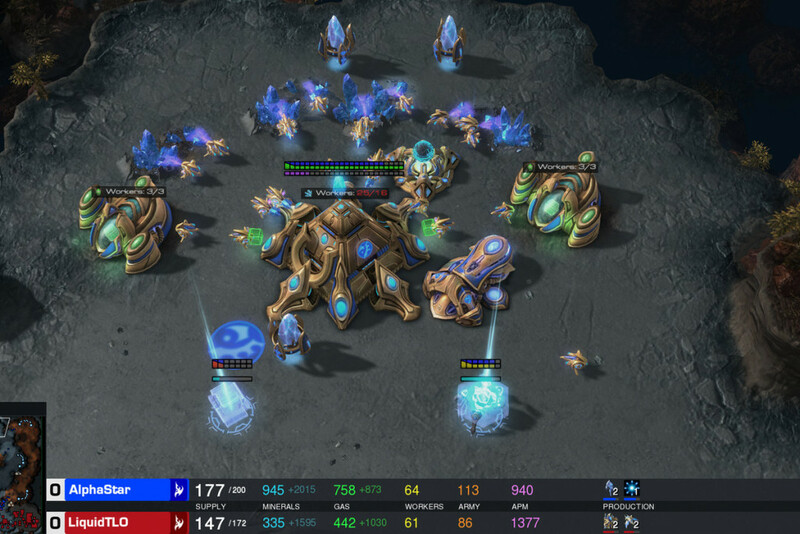 In other worlds “Dawn” builds off the event’s set-up in “Rise” is wonderful and satisfying. 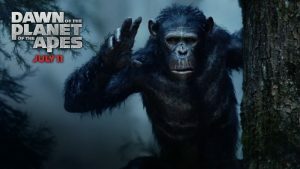 Motion capture extraordinaire, Andy Serkis returns in the lead role, as Ceaser the highly intelligent leader of the apes. In first two parts of the film we have seen the Apes rise to take over humankind and in the second part dawn of new era in which Apes are ruling over the earth. 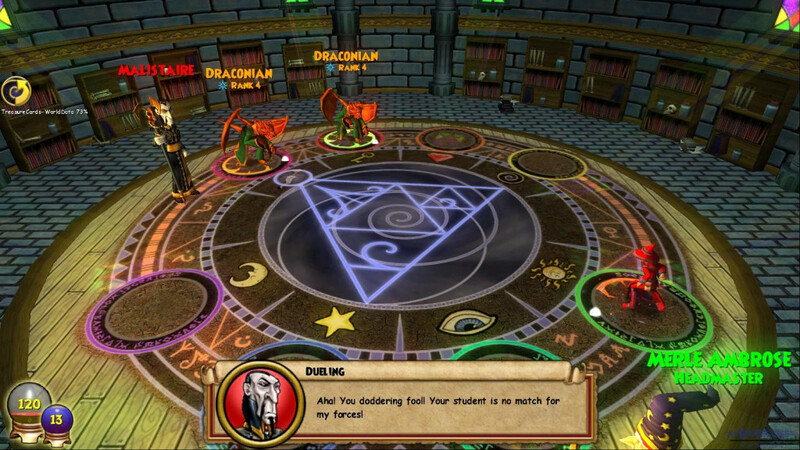 In this part, there is a war between the last remaining human and the vastly intelligent apes. 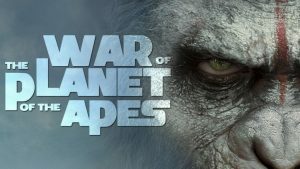 War of the planet of the apes is one of the best trilogies. This is bleak and brutal uncompromising movie from the opening scene to the final one it’s jaw-dropping. Very important moments that set up Caesar (Andy Serkis) path of revenge told entirely silent with just music and performance and it is the definition of epic. 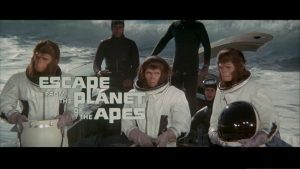 \rice Evans turns in a fantastic performance as the despicable and uncompromising Dr. Zaius still remarkable and entertaining a half-century later “Planet of The Apes” is a sci-fi milestone.